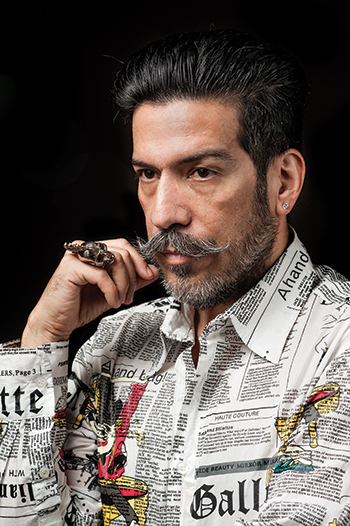 Austin based designer Daniel Esquivel became known for his black and white designs, structured jackets, and memorable moustache on Season 11 and Project Runway Allstars Season 3. His personal whimsy and intuitive style come together to create sophisticated and classic designs with just the right amount of edge. Esquivel is currently a free-lance designer and has presented his collections at New York, Dallas, and Austin Fashion Weeks.